These Japanese Motion Lanterns are a “new take” on a bye-gone world of dancing images, made for young children to thrill and delight them. “Mawari-doro” means “turning lantern”, and in traditional old Japan, used to be powered with a candle. The candle’s heat turned the lantern images, delighting children with their lights and colors. Our Motion Lanterns are, of course, now powered by electricity, but continue to delight children all over the world. 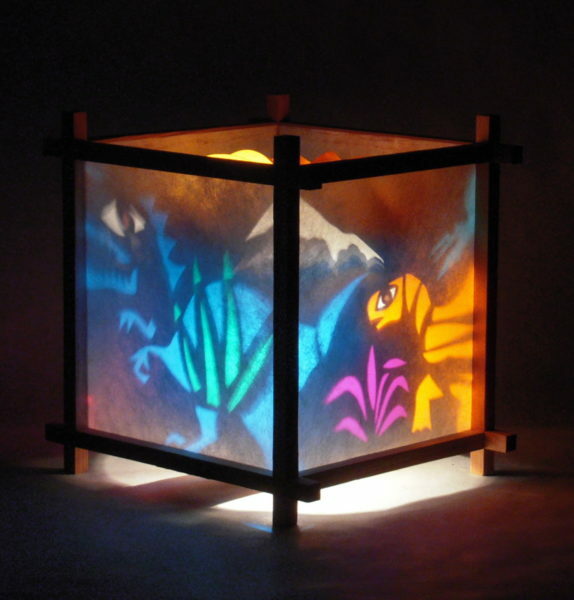 We show only four images on our website, but these hand-made lanterns come in over 70 different kinds. Once you buy your first lantern you can later purchase additional inserts, changing them as you like. Click on the image below to see all four images.